Will Wechat keep dominating the next decade? For the past few years, when you talk about tech in China, you either talk about Wechat or something else. Wechat has become the biggest and most popular internet product in China. Every year, we read news about how Wechat’s downloads grow and how its new features get viral again. This chat app has enjoyed rocketing growth for 7 consecutive years and has grown into an all-in-one mega platform that dominates the Chinese market. This year wechat exceeded 1 Billion daily active users, with 45 billion messages sent every day amid the first slump of Tencent (wechat’s holding company)’s stock since its IPO. Being dominant for almost 10 years, will wechat ever slow down? It was never a question, until recently. Wechat was born in the year of 2011, first being just a mobile IM project inside the Tencent company. At the time, Tencent’s biggest IM product was QQ Messenger, which owned a whopping 1 Billion registered users back in 2010. 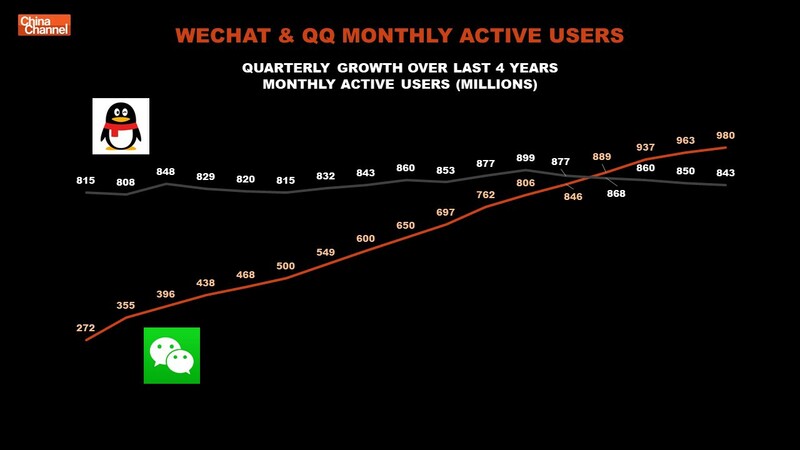 QQ was so successful and huge, just like how wechat is today on mobile. However, the emerging mobile internet revolution caught Tencent off guard. At that time, Tencent’s biggest rival was Sina’s Twitter-like platform Weibo, which had over 1 Billion DAU. So when Tencent was busy building its weibo rival Tencent Weibo, it wasn’t actually ready for the next big thing of mobile messengers. Meanwhile in Hong kong, a push-to-talk voice chatting app on mobile called Talkbox first went viral in China and South East Aisa. This new convenient chatting method on mobile quickly spread over users on their new smart phones. Messaging seems to be the best new gateway to mobile users. Soon after copycats from bigger companies launched their voice chatting apps as well, including MiTalk from Xiaomi, WangXin from Alibaba, Yixin from NetEase and more. Months later, wechat also updated its new version, adding a similar feature of push-to-talk voice chatting. Finally this move helped wechat stick out of the crowd. Tencent also shared QQ’s social network with wechat, allowing wechat users to automatically add all their existing QQ friends on the Wechat app. Wechat won the mobile messaging war. Now it’s been almost a decade, the DAU of wechat has surpassed the number of its predecessor QQ, which also means that Tencent now owns over 2 billion Chinese users on social networking. At this point, Tencent’s stock also slides for the first time since its IPO. It’s not easy to grow from 0 to 2 billion, let alone 2 billion to more. Today wechat is not just a chat app any more. It’s an all-in-one mega life and social platform. It has its own app ecosystem within the app called Wechat mini prgram (which has over 1 million apps, half the size of Apple’s App Store). It has its own mobile payment system which has 900 million active users. It also has its own social media platform Wechat Official Accounts where over 20 million content creators depend on. Even though wechat is quite closed that blocks almost any apps or links from its competitors’ companies. It has created a whole new world and economy for Chinese users. To some extent, wechat is the only app or service some Chinese user need. With the high penetration in China, disagreements and complaints are inevitable. Wechat’s shutting out to third party links has become more and more common. Sometimes a new app’s link is already blocked by wechat before it’s ever officially launched. It also has its rule on any viral contents on wechat, whenever some third party content gets too viral it gets blocked. Other complaints come to the new features wechat made. Any new changes to the good old wechat app can bring tremendous response. A slight change to the color of the logo, or the splash screen can make users unhappy. After all, it’s a product that serves over 1 billion users. Another big problem is that Wechat’s audience has become older, just like what happened to Facebook before. When every one of your network is on the same platform, the younger group gets bored first. Unlike Facebook who already got Instagram and Whatspp to cover a bigger range of audience, Tencent is most focused on wechat. Some active users of wechat even exceed the 5000 limit of friends they can add, which means that wechat is where they would get most spams and useless information. Wechat Moments, another social feed feature inside Wechat which is supposed to replace Facebook or Weibo has also been gradually forgotten by users. Unlike years ago people only see compliments and appreciation of the wechat app, as it gets more essential, users get less content. History repeats itself. 10 years later, another rising social trend of short videos appears. The funny and quirky 15-seconds short videos make people addictive, and also helped users kill more time. According to iResearch, the average time Chinese users spent on short video apps has grown to 33.2 minutes per day. Products now don’t compete with DAU, but the average time people spent on. Biggest short video players Tik Tok (or Douyin as its Chinese version) launched in 2017 now has over 500 million monthly active users. It has become wechat’s biggest rival on users’ attention. It’s not a chat app, but it doesn’t make it less indispensable for users. Tencent has also launched its own Tik Tok called Weishi and invested a bunch of other short video apps to get in the way. However, it’s not easy to stop a rocket. ByteDance, theownerof theTik Tok,founded in 2012, is now valued at more than$75billion. This was just like how Tencent tried to beat Weibo 10 years ago, but this time will a new “wechat” come to rescue? Meanwhile wechat is facing serious competitions from many other aspects. Wechat Official Accounts which help users kill time by reading contents from media have met competitons from Toutiao (also owned by ByteDance), and Baidu. Its subscription model which allows users to subscribe to daily updated contents for killing time now has been adopted by its rivals. Toutiao and Baidu share the similar model, but provides more contents and news, compared to wechat’s closed platform. Plus Toutiao also owned 240 million DAU as of March 2018. Apart from the competition on users killing time, wechat also has been fighting with Alibaba for wokpalce communication. Alibaba’s DingTalk focusing on team collaboration, which offers all sorts of enterprise solutions within one app has now become the biggest enterprise messaging app with over 100 million users. Wechat used to be a messagging app people use for both work and life. However, as feature limitations and a messed contact network, professional users are leaving wechat on work purposes. DingTalk started in 2014 with a bunch of essential features tailored for smaller sized companies such as free phone calls or CRMs have grown steadily ever since. Wechat also launched its enterprise version called Wechat Work, but it was still far behind Alibaba as of now. Wechat’s troubles started to grow rapidly especially recently. Competitions come from both tech giants and smaller startups. Almost for the first time in the past few years, people are starting to talk about new chat apps again in China. Investors are also starting to back new social products. This was seldom brought up before because to beat wechat and Tencent with social products from scratch seems a vain effort. The most surviving social apps from the past decade belong to Tencent or was invested by the company. And even those are not doing very well living in the shadow of the giant wechat platform. 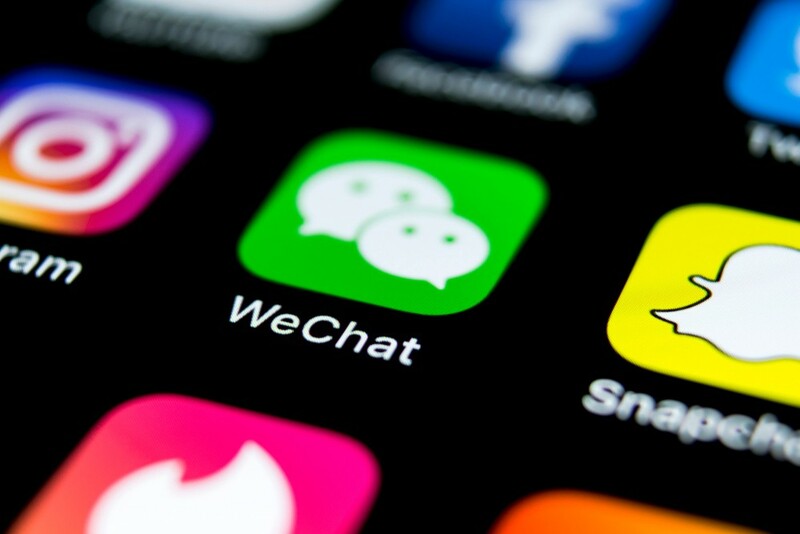 Knowing that the millenials getting bored with wechat, many new emerging social apps aim at the younger generation, specifically the millenials and the generation Z. They are young, they are the future grown-ups and they kind of hate wechat. Just in the latter part of 2018, about twenty social apps launched and got viral in some point. Some of them didn’t last long, but this is already so different from the past few years where very few or almost no startups dared to enter this category in China. It is interesting that whenever a new social app gets viral, it first gets viral on Wechat. Users might get interested in a new fun feature and downloaded a new app. However, to get more friends to join this new app, users still have to go back to Wechat to let their friends know. Many products died at the stage of “bringing wechat friends to a new network”. If a new social app has a similar network of wechat’s if not smaller, it has to be very necessary for the users to keep it. However, most of the recent new social apps are just for fun or can be easily copied on wechat by a wechat mini program. On January 15, three new social chatting apps MT, Duoshan, and LiaotianBao coincidentally launched on the same day. MT(or MaTong) is an anonymous social cahtting app that allows users to chat with strangers in a chat room. Duoshan is a snapchat-like chatting app launched by ByteDance. LiaotianBao is an app that rewards users with real cash to chat and interact in the app. All of these three products were made by quite famous entreprenerus in China, so the launch soon caught attention of the media. It looked like these three apps are trying to beat Wechat all at once. Just as people started to try out the app and share it with friends, wechat blocked all the links related to the three products immediately. Founder of Tencent even personally commented that he is strongly against any kind of negative anonymous social networking, implying one of the products MT. 10 years ago, Tencent got through the mobile internet wave smoothly with the birth of a great product wechat. 10 years later, competitions against wechat are growing from all aspects. Will wechat keep dominating the next decade? Even though it sounds difficult and impossible, more startups and entrepreneurs in China are rising on social products. No one knows yet if any of them could beat or replace wechat, but it’s always great to see new things happen.